Ontario Auto Insurance Topics - Parry Sound Insurance Brokers Ltd.
It’s been a long time since I last posted on this blog, but to be honest not much has happened with respect to Ontario Auto Insurance. 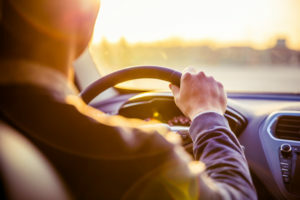 Last spring I wrote about the factors that were actually driving up the cost of auto insurance i.e., distracted driving, vehicle repairs and fraud. That hasn’t changed. None of this was mentioned in David Marshall’s report. Last spring the Liberals were punished by voters for litany of reasons, which I’m not going to reiterate. The Conservatives took power and quickly made it clear that they were not going to proceed with Marshall’s recommendations. Auto insurance was not part of their election platform and they had no position. I thought it was pointless to speculate on what they would do. I was bound to be wrong, so I haven’t posted anything on this blog. Today the government has finally taken some baby steps towards developing their auto insurance policy. They released a very short survey for consumers and stakeholders and announced a review of Ontario’s rate regulation system. Consistent with their election platform, the government’s initiative’s are being labeled as “for the people.” Hopefully, that will be the case as changes begin to roll out. There will be stakeholders who will want to use the consultation to frustrate the government’s desire to help consumers. The survey itself is very short and will be collecting feedback until February 15, 2019. There are essentially two questions. How do you feel about the auto insurance product we have and how easy is it to shop for auto insurance? Clearly these are not questions directed at industry stakeholders. The announcement also signalled a desire to move Ontario’s auto insurance forward on initiatives like electronic proof of insurance and other insurance documents, more e-commerce and eliminating territorial rating. Many of these items could have been changed long ago. Sometimes I wonder if it takes a Google or Amazon to enter the marketplace to facilitate change? I hope not. I’ve stated this in the past but it’s worth repeating. I hope that the government doesn’t decide to tinker with the accident benefit schedule again. It never delivers savings for consumers and only benefits certain stakeholder groups. Tackling distracted driving and fraud can create rate relief for consumers. Cutting benefits does not help consumers. The post Ontario Auto Insurance Topics appeared first on insBlogs.